Wildlife Toxicity Assessments for Chemicals of Military Concern is a compendium of chemical-specific toxicity information with discussions on the rationale and development of Wildlife Toxicity Reference Values (TRVs) intended for use on terrestrial wildlife for risk assessment applications. Substances covered include military-related chemicals including explosives, propellants, pesticides and metals. Wildlife Toxicity Assessments for Chemicals of Military Concern is a much-needed resource designed to meet the needs of those seeking toxicological information for ecological risk assessment purposes. Each chapter targets a specific chemical and considers the current knowledge of the toxicological impacts of chemicals to terrestrial wildlife including mammalian, avian, amphibian and reptilian species. 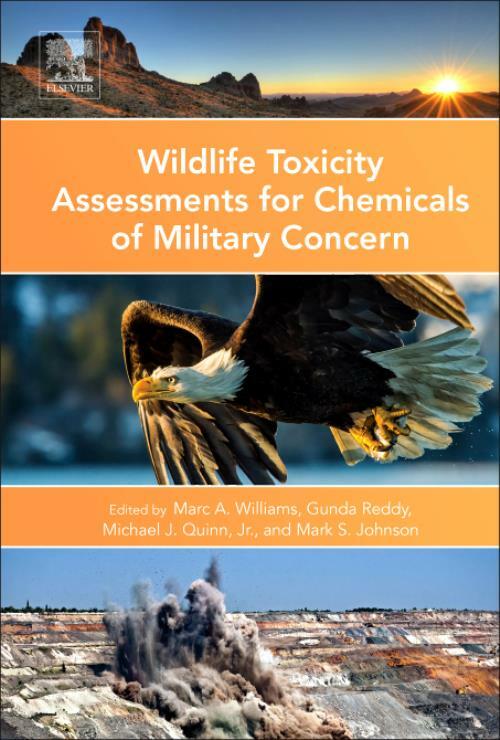 Provides detailed information on how Wildlife Toxicity Values (TRVs) for military chemicals of concern are derived and evaluated. Covers wildlife toxicity assessments of explosives, metals and environmental chemicals. Compiles relevant information on the environmental effects of chemicals on wildlife in relation to public and environmental health.